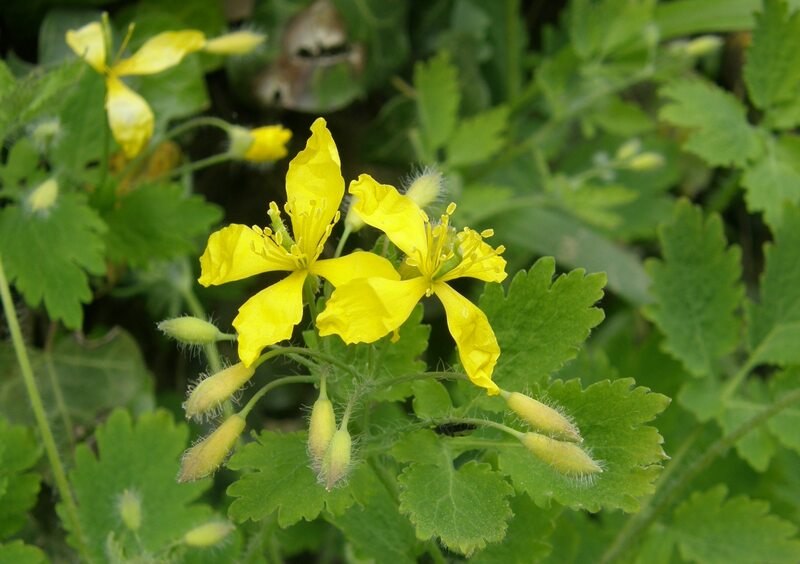 Sunday 29th April Greater Celandine From the Poppy family, not to be confused with Lesser Celandine (Buttercup family.) Grows up to 90 cm. The flowers have 4 yellow non-overlapping petals. Leaves are hairless, toothed and very divided. This species has re-appeared by the roadside near Nat West Bank after an absence of almost 20 years.